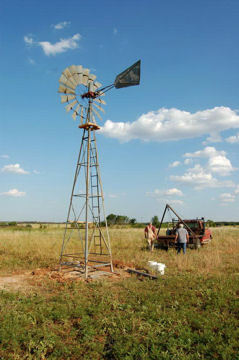 About the only thing more exciting than watching your own windmill go up is watching the mill of a good friend or customer's come to life. 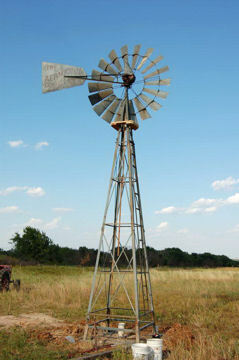 The pictorial raising shown below is that of the mill belonging to John Barton of Duncan, OK. 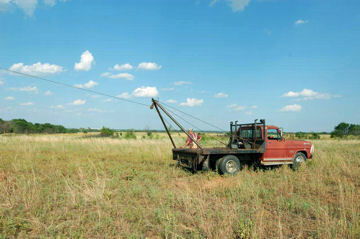 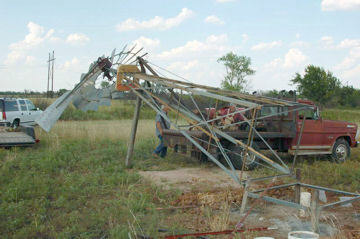 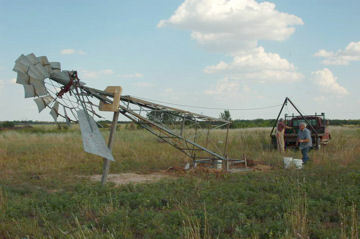 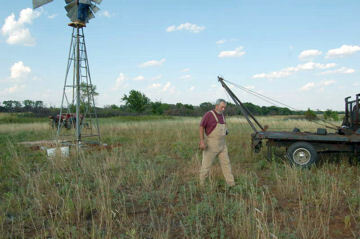 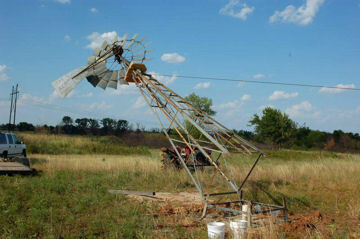 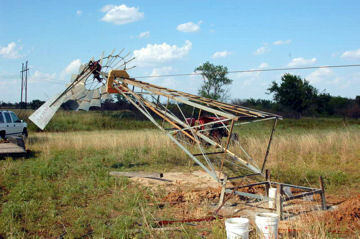 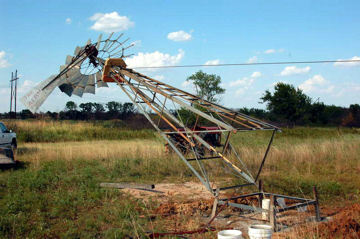 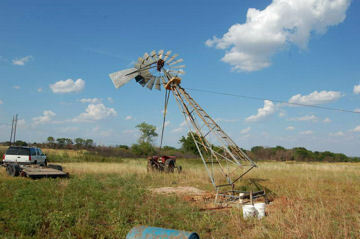 He has graciously shared these pictures with us of his Aermotor A-702 and tower, purchased from Windmill-Parts.com, being erected on his family farm. 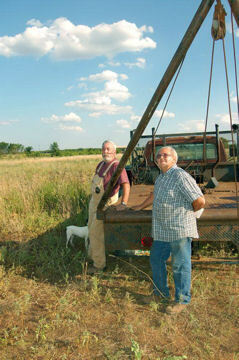 We are grateful for the opportunity to share these pictures with you. 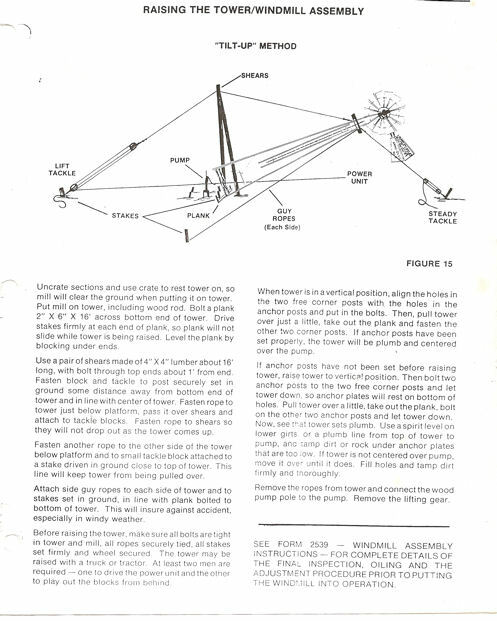 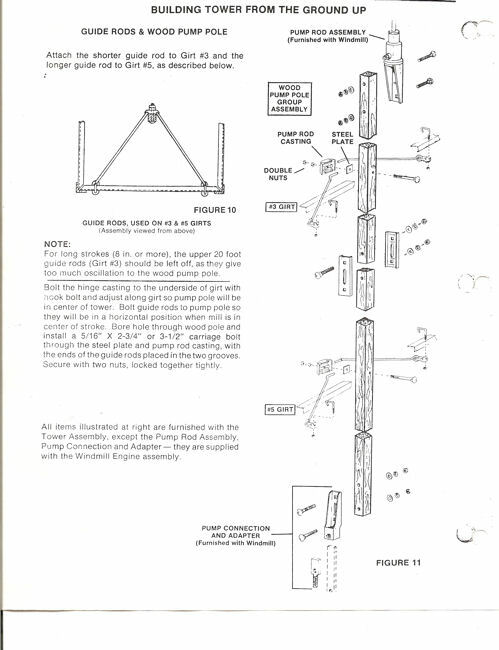 There are several ways to raise a windmill and we have printed vintage instructions with diagrams from a number of manufacturers than can be used as a guide for your project. 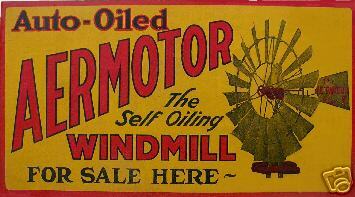 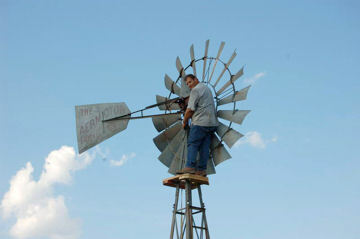 Contact us for copies of this material available by making a small contribution to our Windmill Park. 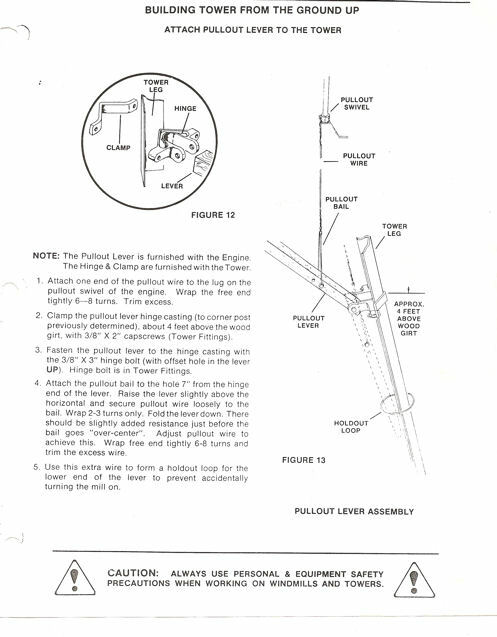 We have also posted some FREE PDF downloads that may help you as you consider your options or just want to know how to mount a Pull-Out Lever, Pump Pole Guides or Pump Pole Splices. 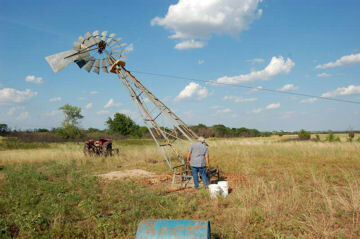 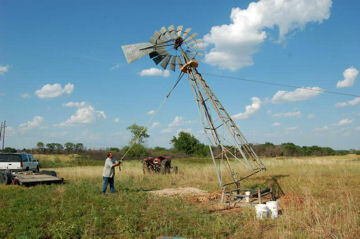 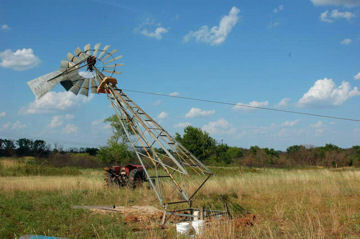 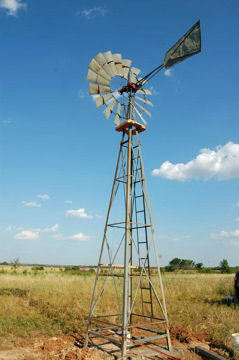 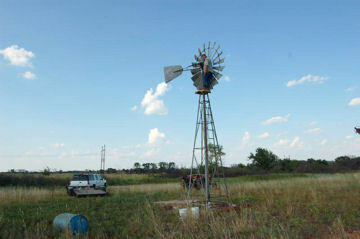 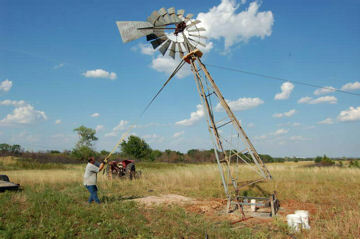 Many thanks again to John Barton for providing us the opportunity to share this windmill raising. 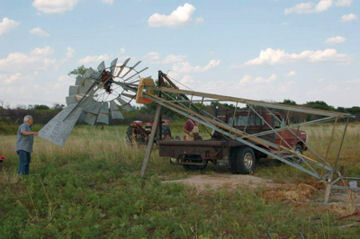 We strongly recommend that you seek professional assistance in erecting your mill or any other as doing so without proper equipment and experience can be dangerous. 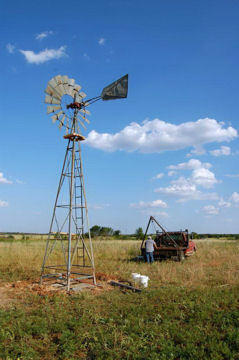 You can contact us at our email address for recommended windmill installation and/or restoration assistance in your area.